In a forum designed to address “the underfunding of higher education,” the presidents of the University of Oregon, Oregon State University, and Portland State University responded Friday to questions from the Oregonian’s David Sarasohn, with perspectives that reflected a shared desire to address the issue in innovative ways while working together to improve educational opportunities for Oregonians. The presidents of Oregon’s three largest universities told a group of more than 200 civic and business leaders at the City Club of Portland that their new governing boards will help as each university works to stabilize funding in the wake of significant declines in state support, noting that the flexibility the new structure affords will be important in sustaining their public missions. “Our mission hasn’t changed,” said University of Oregon President Michael Gottfredson, adding that how the UO and others will finance their missions moving forward is a question all are working to address. Gottfredson, Ed Ray of OSU, and Wim Wiewel of Portland State also agreed that ambitious goals for better graduation rates, as reflected in the state’s “40-40-20” aspirations, are important – but will not be achieved through reform to higher education alone. The state also must focus on the pipeline from pre-K through 12, Gottfredson reminded the audience. President Gottfredson said he is encouraged by the current reforms reflecting creative and innovative ways to think of education as an investment that will benefit the entire state. There is little of more importance than the collective result of having an educated workforce to compete on the global stage, he said. 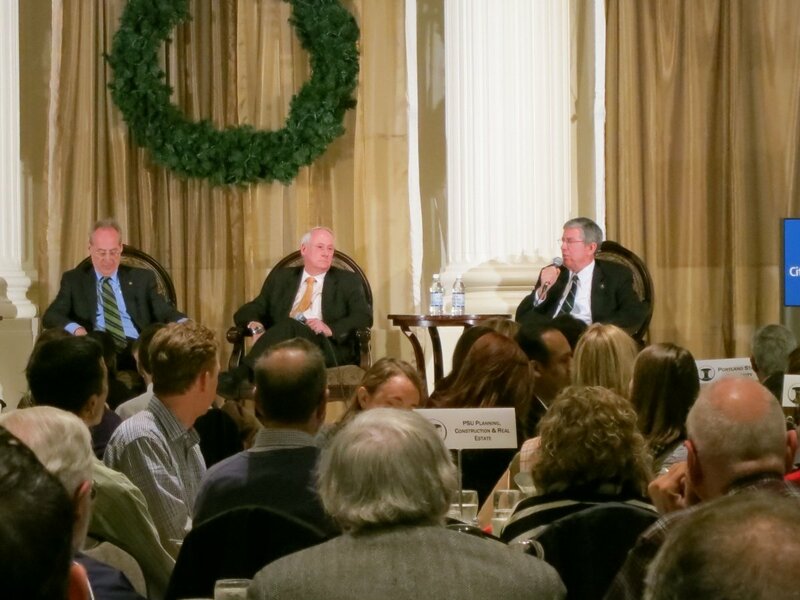 A recording of the City Club of Portland panel discussion airs on Friday, December 13, 2013 at 7 p.m. on OPB radio stations. You can also hear the rebroadcast here.